While it's not entirely in the interest of Biafrans to concern ourselves with the demonic and macabre dance called 'politics' in Nigeria, staying silent through some issues might prove detrimental in the end. The issue with Anambra State politicians and their politics is as deadly as the issue with Nigeria and her politics: they are both power-hungry and stubbornly foolish as they lurch forward to lay blind claims to a singular right to lead. They forgot that politics is a call to serve and that those desirous of serving others must penitently and humbly come. All Progressive Grand Alliance (APGA) was primarily set up to stake out for Ndigbo, to defend and protect the political life of the Igbo in the choking Nigeria. To every Igbo, the entrance of APGA was like the first entrance of the Christian gospel into a land full of tired but searching and hopeful people. However, today, we have all lived in disappointments - just as many our days, as a result of false bringers of the gospel, have been asking God where all His promises for Bible faithfulness and love went to. Just as men who have followed the Christian God in whole faith, we knew and believed that APGA will come with it the long awaited return of the deliverer and his deliverance to Igboland in particular and into Biafra as a whole. But, just as the collective wish of the Israelites for a king was met with the proud, arrogant and opinionated Saul, APGA, the passion of Daddy Ojukwu's heart, has had all demons coming from all openings of hell for one thing: to present themselves - as angels of light - for acceptance. Just as the so-called 'fathers of Christianity and champions of faith' in nigeria resisted the Spirit of God in His mission in nigeria (because, even in strange lands, God never ceases to minister to His own until they retrace their ways and entirely return to Him), turning the hitherto managed marriage into a curse upon the people, those entrusted with shinning forth the spirit of APGA became Saul's of lost glory: while Peter Obi of Anambra State outshines in looting of public treasury, in killing of his own people and in serving and servicing the enemies of his people, the low self-esteemed abomination in Imo State, Okorocha, thrives in selfish dance toward self-annihilation as he commits all of Imo to gain political self-glorification. So, men became feeble - both in thinking and in calculated response. Today, and just as heads of demonic practices promise life and eternal bliss and gain to impatient men, the Trojan Horse of hell called All Progressives Congress (APC) has now continually been offered in Igboland by the very people whose fathers brought death and decay to us; by their sons who have sworn by their fathers' deathbed to finish the work of exterminating the Igbo. The ever-evil Hausa and Yoruba politicians have, with gullible Sauls of Igboland, come once again to table their case of sacrifice over obedience. They have come - wearing swords of destruction and hell under garments of peace! They bring the horse-gift but their bellies are full of darts of death. Just as Absalom and Solomon could not stop the faithfulness of God toward David with their unquenched hunger for selfish gains, the likes of Peter Obi and Rochas Okorocha will not quench the spirit of APGA. And just as hell has no life to offer, APC will bring nothing good in the whole of Biafraland. Therefore, the land resists them! Those who had given up on patience and had joined the evil and the occult and the abominable and had used other humans as sacrifices for their own financial and general security understand, if they are still alive and able to tell, the blunder in sacrifice without obedience; the same applies to men who rob others to build temples unto the God of heaven: they both have enchained their souls unto damnation! This abomination called APC will be an instrument of death to all the enemies of God, to all enemies of Biafra and his people. Those who align with it have aligned with hell and will therefore eat from hell's kitchen. This evil shall not cross the gate of Zion! Absalom had tried to kill David, his father, and Debe may try to betray his light; but only darkness awaits him as it befell on Absalom and his many Ahitophels of foolish counsel. Today, I call on all Biafrans of Anambra State to stand openly in support for a Sovereign Biafra - seeing that this alone is our help and salvation from the hellish abomination of fornication, nigeria. All politicians of Anambra stock must vehemently resist this Trojan Horse called APC before it turns into another Asaba Massacre or, worse, a new-age genocide. 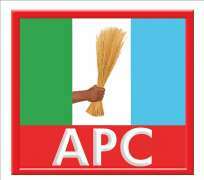 However, for those whose strength is not strong enough to resist, I say, Stay away from APC! Block every seed of destruction to God's temple from your hands! It's often been said that Anambra is like Judah in Biafra, do not turn it into another Dome. The Israelis are not yet free from such careless miscalculation. Disclaimer: "The views/contents expressed in this article are the sole responsibility of Ikechukwu Enyiagu and do not necessarily reflect those of The Nigerian Voice. The Nigerian Voice will not be responsible or liable for any inaccurate or incorrect statements contained in this article."